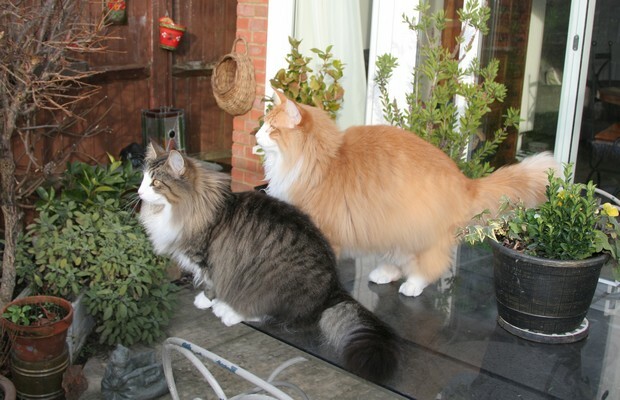 We hope you enjoy visiting our website and finding out about our Norwegian Forest Cats. 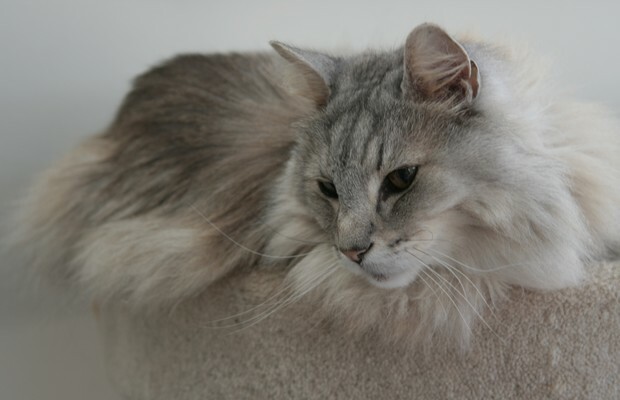 Welcome to our Nordligdrøm cattery website. We are located in the pretty English village of Marlow-on-Thames, situated on the very edge of the Buckinghamshire / Berkshire border, UK. We are hobby breeders of Norwegian Forest Cats and our cattery name 'Nordligdrøm', roughly translates from Norwegian to mean 'Northern Dream' and seems a good description of these beautiful cats. Our home is shared with all 7 Norwegian Forest Cats and they live inside the house and of course sleep on the beds, when it suits them! We have converted our small, sunny garden into a safe and secure place for our pets. The cats have access to fresh air and the outside world and to play and snooze amongst the plants and shrubs or watch the world go by, from various viewing points in the garden. 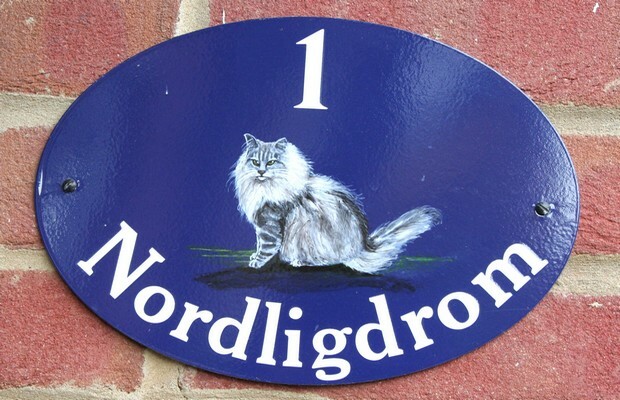 Nordligdrøm is a small, individual, UK cattery and we breed just a few Norwegian Forest Cats every year, so each litter is a special pleasure for us to experience and enjoy. We try and stay in touch with the new owners of the kittens and they regularly send us updates and pictures of them growing up, which is really nice. Our cats are pets first but our aim is to breed healthy, strong, kittens with good temperaments, matching the breed standard laid down by the governing councils. The colour and pattern of the Norwegian Forest Cat is of limited importance for judging NFC's in a breed competition, but of course it is always nice when a particularly pretty coloured one arrives in the litter. Thanks go to Vera and Barney Wright the breeders of our first two Norwegian Forest Cats, who introduced us to the breed and have offered us unlimited support and guidance. They have shared a great deal of their knowledge with me, while introducing us to other NFC breeders both in UK and Europe and we have become really good friends. Much appreciation goes to Karen and Mark Kestle who have very kindly allowed me to use their stud boys on several occasions and I am very grateful to them for the advice and encouragement, they too have offered.